Skyblock Survival Map for Minecraft and is an amazing and astonishing adventure Island map in Minecraft world. Skyblock Survival map was originally developed by NooBcrew. It brings quests and challenges in your world. You can play it in either single or multiplayer and complete the tasks. For survival you can build your house, smelt metals and gain achievements. It’s one the best custom maps for Minecraft. Description: A custom world map for Minecraft. First you have to extract the map file. Then try renaming it to “World1″. Go to “saves” folder and move the World1 folder there. 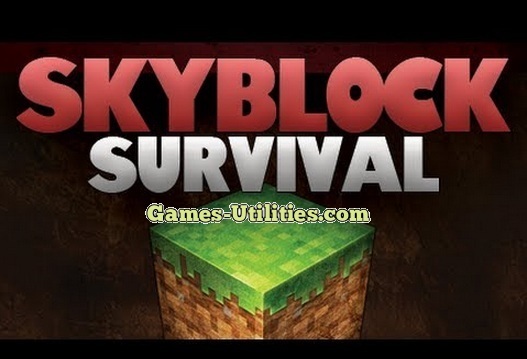 Now there you have it enjoy and play Skyblock Survival Map. We hope that you guys will have a real blast while playing Minecraft Skyblock Survival Map. We hope that this map will entertain you while playing Minecraft. So have fun and keep coming here to check the latest updates of your favorite game online here..